There have been a number of formal studies on the use of the product as a cancer therapy for humans. The first of these was a Phase II study, where 37 patients with progressive malignancy were put under analysis by Dr Robert Thomas (Consultant Oncologist at Bedford Hospital and Addenbrokes Hospital). Dr Robert Thomas also undertook a study of 110 patients with progressive prostate cancer over three years. In addition to this, a Phase II study of 36 patients at a private clinic in Harrow, Middlesex was completed by Dr Ros Taylor (Hospice of St Francis, Berkhamstead). The studies on animals and humans have shown the anti-tumour effect of the therapy, as well as its beneficial effect on the patients’ quality of life. They also showed that the therapy has few adverse side effects. 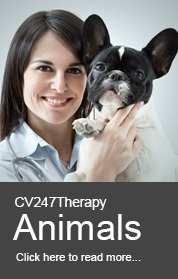 You will also need to check the availability of CV247Therapy in your Country. Please see our Availability by Country document in the Documents and Downloads section of this website where you will also find further useful information and advice on CV247Therapy. We recommend that in all cases you should seek Medical help before taking any medicine and refrain from any form of self-diagnosis.